Located across the street from Ashland Community Hospital, Direct Physical Therapy, LLP will celebrate their second anniversary this month in Ashland. 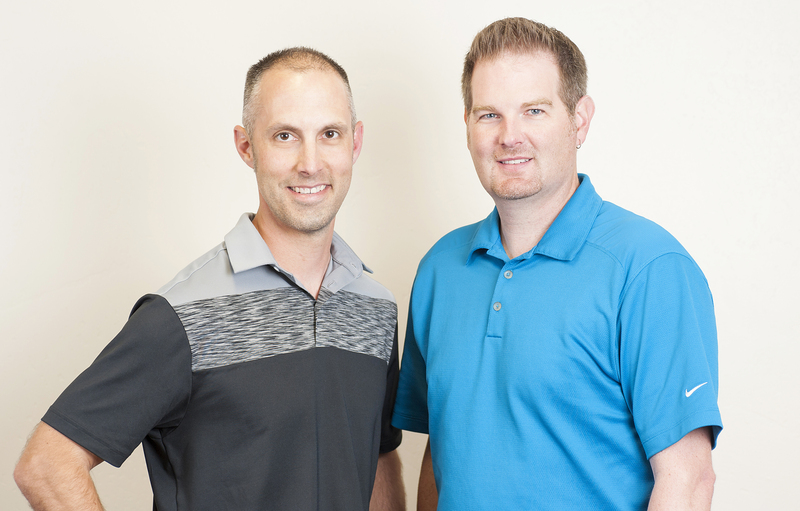 Owned and operated by local Ashlander Scott Brown, PT and Lance Cooper DPT, ART, Direct Physical Therapy offers the highest level of individualized care and attention to their patients. 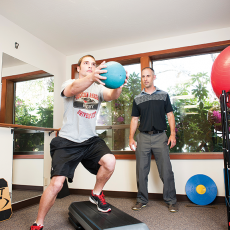 Patients receive one hour of personalized attention during a session, which leads to a speedy and successful recovery. With issues ranging from orthopedic injuries and post-operative care to accident recovery, the keys to regaining pain-free movement are fully realized with this skilled team and their consistent, well measured approach. Lance and Scott, thank you very much for having us over today, your office looks great! Where should we begin? We want to extend a big thank you and gratitude to everyone we have been able to work with over the past two years. We have been extremely fortunate to work with so many wonderful people. A number of them have returned for treatment for other problems. I really think that speaks volumes to how people feel about the treatment received in our clinic. That’s great to hear. Scott I understand that you have made quite a few connections with the Mountain Meadows community. Yes, we have been very lucky to make several friends there. I think when you provide quality service people like to tell their friends and family members. When we help one person with their problem, they like to tell their friends and neighbors, who may have similar issues. Positive words about our practice in this community have been very beneficial. 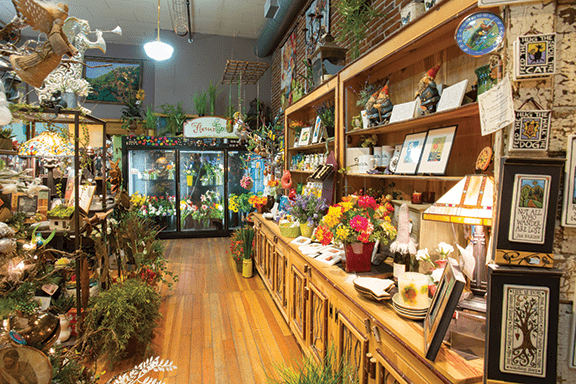 Living in a community like Ashland has many advantages. I have had many former clients that have returned for treatment after many years. For them to take the time to find me is a great complement. Recently, I had a client who mentioned she had been following my career since we first met six years ago. Having grown up in Ashland, I have connections with many people that knew me from my youth. Now they come to see me because I am familiar and they have known me for many years. Those occurrences definitely make you realize that there are some really special people in this community. 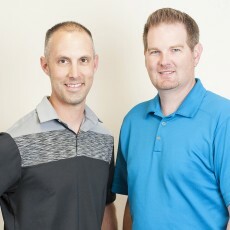 Scott, what are some of the key issues that you and Lance are best equipped to work with at Direct Physical Therapy? We really see a wide range of conditions in our clinic. With almost 30 years of experience between us, Lance and I have seen a large variety of diagnoses. 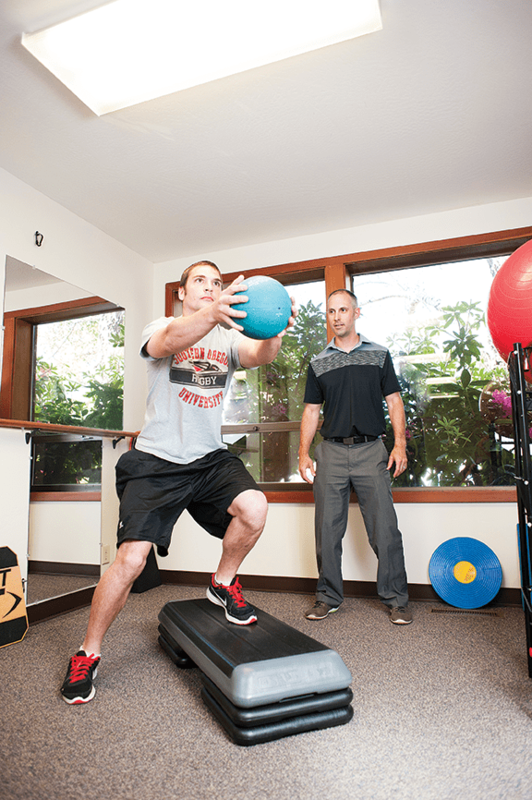 We see clients after surgery and help them regain normal strength and range of motion. We treat clients who have strained their neck or back, possibly while at work or from a car accident. Also, we help clients work on their balance and gait if they have been unsteady on their feet or have fallen. If there is an orthopedic issue, there is a good chance that we have helped another person work through the problem before and can help you recover from similar issues. Lance what has been your focus for treatment and do you see any areas of your specialty that are becoming well known? I have been promoting the use Active Release Techniques® (ART®) for treatment of soft tissue injuries (i.e. muscles, tendons, ligaments, nerves). The response has been excellent. Many of my clients are unfamiliar with the treatment techniques, but realize the power and importance of movement during treatment after participating in a session. I try to educate them on the process of the treatment techniques used and how soft tissue restrictions/scar tissue can be relieved. ART® can help people recover successfully from many traumatic and repetitive soft tissue injuries. Tell us about Active Release Techniques®. What is it and how is it helping your clients live better lives? ART® is a soft tissue treatment system designed to restore motion, reduce pain, and improve strength to help people return to participating in their daily activities. During ART®, the clinician applies deep tension at the area of tenderness and the patient actively moves the tissue through the restricted site from a shortened to a lengthened position. This helps to break up the scar tissue and return the affected soft tissues to a healthy state, resulting in improved strength and decreased pain. ART® can relieve these issues quickly and with lasting results. In most instances, people are able to return to performing their activities with minimal or no pain. 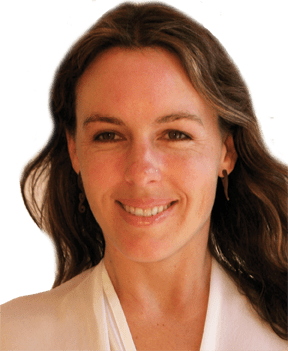 I am the only full-body certified Active Release Techniques® provider in the Rogue Valley. Lance, are runners seeking the use of Active Release Techniques® for treatment? Yes, I have worked with many runners in our clinic over the past 2 years. Running is a physically demanding sport causing many repetitive strain and impact related injuries. The stresses of running on the soft tissues are immense and recovery does not always occur with rest. 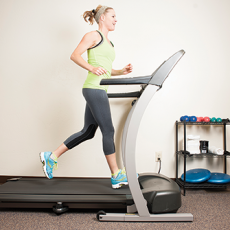 ART® can help runners quickly resolve their injury issues. 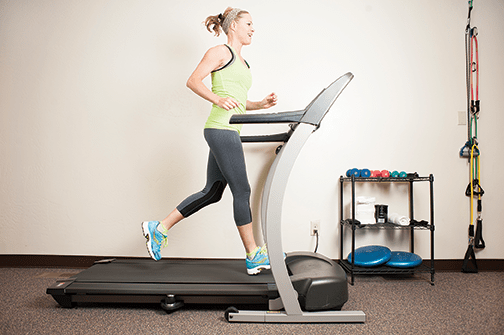 I have helped many experienced and novice runners return to action. Do you have any recent success stories that you would like to share? I recently helped a gentleman named Mark return to running and participating in local races. He was very discouraged about not being able to run without considerable pain in his knee. After a few weeks of treatment, minor modifications to his running form and implementing a corrective exercise program, Mark returned to running without problems. In fact, he placed fourth and second at his first two races this year. Mark had some kind words about his experience at our clinic. Scott, can you talk about the process of taking someone and coaching him or her through a recovery process. I would like to hear more about what it takes from you guys to help support and move your clients towards healing. For a portion of our clients, they have never experienced an injury or pain before. There can be a lot of apprehension about what is going on with their body. They are not sure if what they are feeling during the recovery process is normal. Lance and I really take the time to explain what we are doing during our treatment sessions. We like to explain what has been injured and why their body is reacting the way it is. We want our clients to really understand their condition and feel comfortable knowing how their recovery process may progress. Sometimes recovering from an injury or surgery can be depressing. By providing one on one time with our clients, we are able to help them feel better about their recovery. Lance do you have any thoughts about this matter that you would like to share? As health care professionals, we must be compassionate toward our clients. 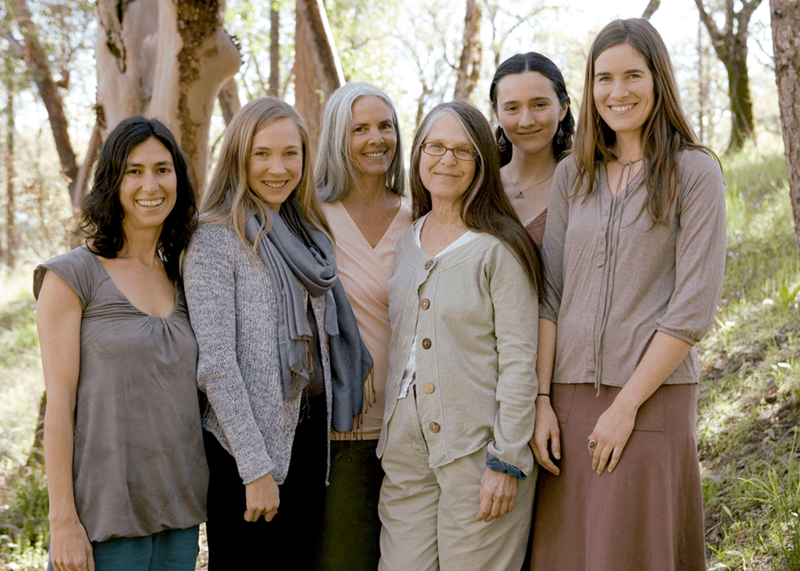 They trust us enough to bring their ailments and problems to us to help them find solutions. I feel we both show our clients that they are important to us and that we will help them overcome any difficult circumstances. Sometimes Scott and I will collaborate on developing treatment plans for clients that are struggling with their problems. We feel that different perspectives combined can help solve difficult problems. What are some of the best moments of working with your clients? 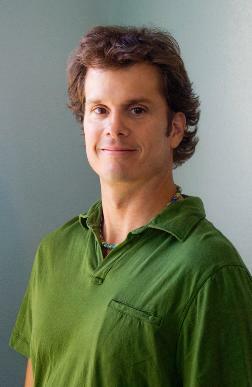 Lance – I enjoy helping my clients reach their physical goals and visiting with them about their lives. Finding a personal connection is important to gaining trust from a client. I enjoy listening to their stories and sharing my own. 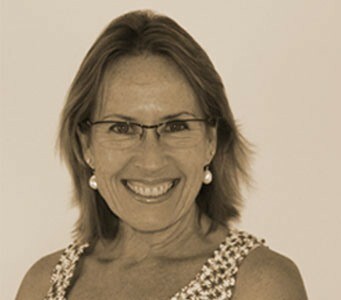 I feel that developed connections make me a better physical therapist and provide an enjoyable experience for my clients. 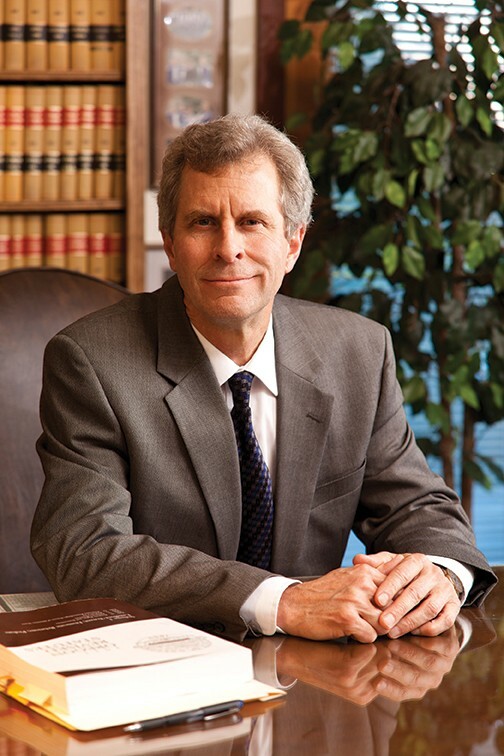 Scott – I really enjoy getting to know my clients. I like to find out about their interests and hobbies. I am typically pleasantly surprised by the activities in which they are involved. We are very fortunate to have a very active client base. Having grown up in Ashland, I am always curious to know what has brought them to the area. I also like seeing the progress my clients achieve. Helping my clients get back to participating in their normal activities is a rewarding experience. Scott, can you give us some specifics around the costs and coverage for physical therapy with Direct Physical Therapy? Every insurance plan will vary, as will deductibles and covered services. If you are not sure what your insurance covers, we will help direct through the process. Also, we will work with you to find a solution if your insurance does not cover physical therapy or you do not have health insurance. Some of our clients pay for our services outright. Ok, I want to take a moment to learn more about the two of you outside of Direct Physical Therapy. Lance: Favorite place to eat in Ashland with friends and family? This is a difficult question because Ashland has so many outstanding restaurants. My most memorable meal recently was at The Loft. This is where Ann, my wife, and I celebrated our thirteenth wedding anniversary. The food was amazing and the service was excellent. Scott: Best thing to do on a sunny Saturday afternoon in Ashland, 73 degrees? Without a doubt, take a walk in Lithia Park. I have been going there since I was a child and now I am lucky enough to take my daughter there. She loves playing on the playground and watching the ducks in the pond. We head to Lithia Park when any opportunity arises. And finally: Best joke you have heard from one of your clients and can tell in the LocalsGuide? Q: What did the femur say to the patella? Lance any last thoughts or comments that you want to share with our readers? Scott and I want to thank all of our current and former clients for helping the business grow during the past two years. We could not be successful without you. 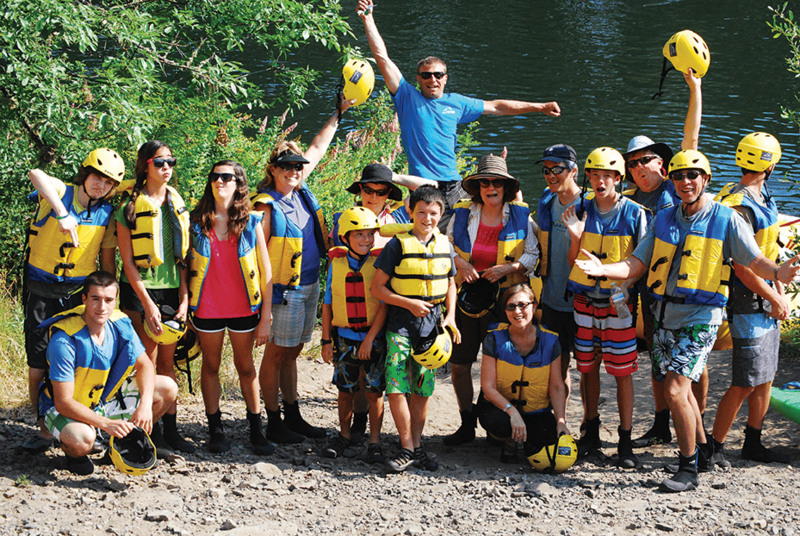 As we look to the future, we hope to continue to grow and help more in the Ashland community reach their goals. 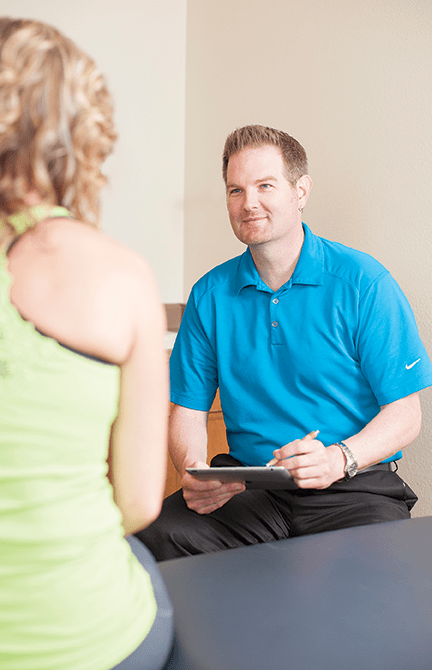 If you do not know about us and need physical therapy services, look no further than Direct Physical Therapy to help get you moving forward again! Are You Tired of Being Stuck? 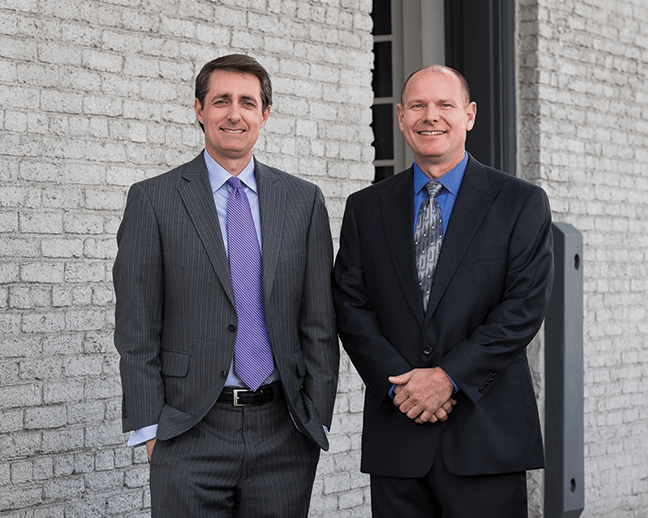 Introducing the NEW Retirement Planning Specialists Chris Patterson & Chad Smith, CFP® Retirement Planning Specialists, Inc.